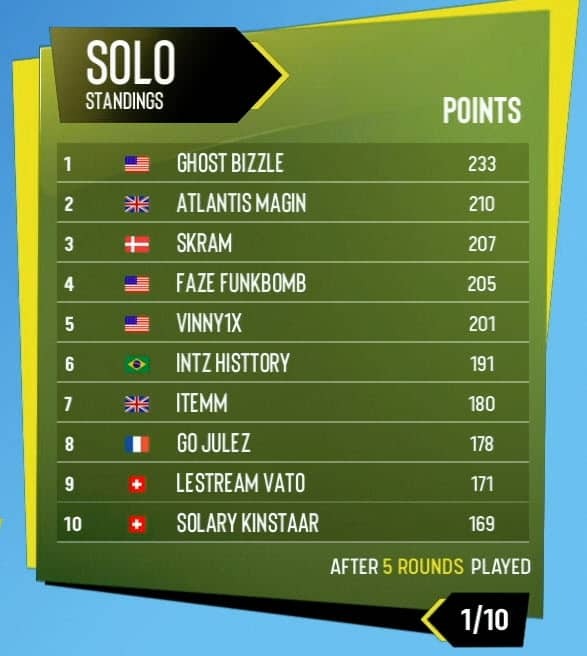 Final moments of all 7 Solo games, as Vinny1x wins the ESL Solo Fortnite tournament, here is how the event unfolded. 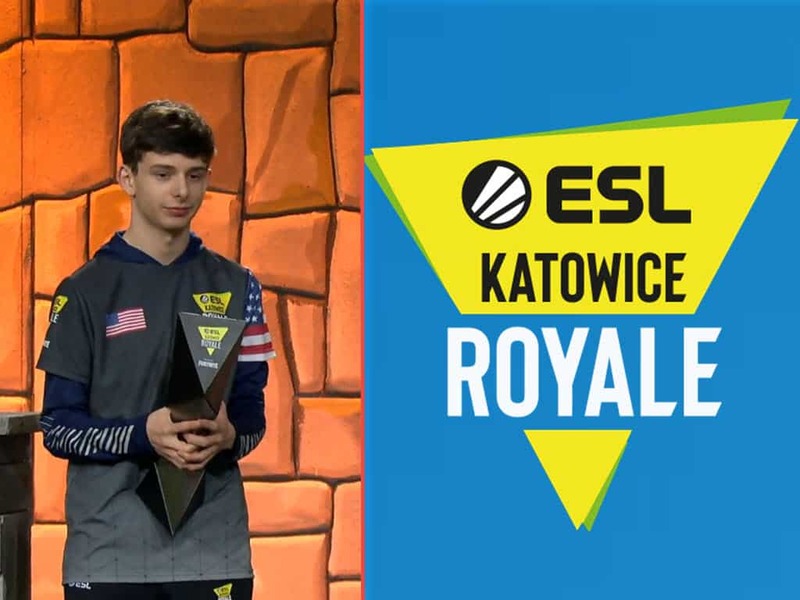 The best Fortnite players in the world finished day 1 of the $100,000 ESL Fortnite Katowice Royale. Less then a week ago, Vinny1x was a free agent and signed with Team SoloMid (TSM). It was a smart pick as he has captured the ESL solo crown. Although Vinny did not have a win in the 7 games, his consistent over the course of the 7 games, gave him enough points to finish on top. ESL perfected the event this time around after working out technical difficulties with the Polish edition of the tournament. Leaderboards were updated in realtime and even intermissions were set a perfect pace. Here are the final kills of each game. Bizzle wasted no time, after winning the Secret Skirmish, taking game 1 in Bizzle style. With no mats left, Bizzle is where he is most dangerous, using his high ground to win game 1. There was no doubt at some point of the tournament, the new Volcano location would host final zones. It happened during game 2, as the final moments were fought around the Volcano. In the end, Kinstaar, shorthanded with a Tac and SMG, took out ZexRow. With the last zone in its final seconds, Mitr0 has high ground with only a couple of shots left in his green pump. As he dropped to Julez, he gets stuck on a side wall for a split second, giving Julez just enough time to connect his pump at 150 to win round 3. As Round 5 started, playing styles shifted. Most players in the top 20 did not engage in any mid game action, opting for points to maintain ground. In the end the storm did the most damage, as players scrambled to break through builds to enter safe zone. Skram held high ground while the storm handed him game 5. As the tournament wrapped up, some top 10 players dropped out of Game 6 early. Once again, a new player won, with TheVic making the right move inside the storm pushing his opponent with a heal off out of the question. With 3 players remaining, Animal held his ground and clutched when he needed it most. 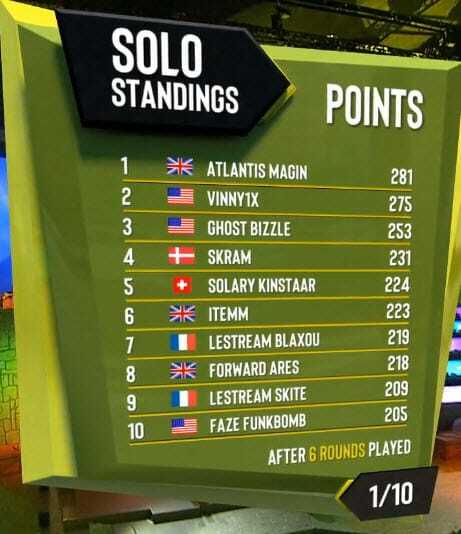 Vinny1X ESL Fortnite was also in the hunt right till the last moments of Game 7.